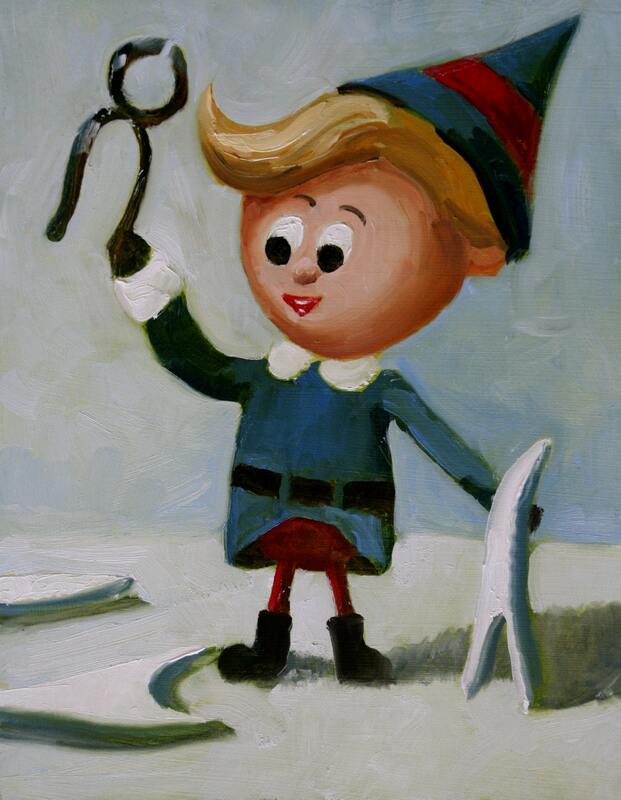 Hermey, the elf who wanted to be a dentist. His subversive studies sure came in handy when the Abominable Snowman came around. The original painting was 10 inches high by 8 inches wide. It was an original oil on a board. The print that is offered is also 8x10. It is matted, so the final dimensions are 11x14. Amazing Work!!!!!!!!!!!!! The creator is professional and his art work is beyond words!!!!!!!!!! Great item. Exactly matches description. Quick shipping. Highly recommend.